Canna Louis Cottin. 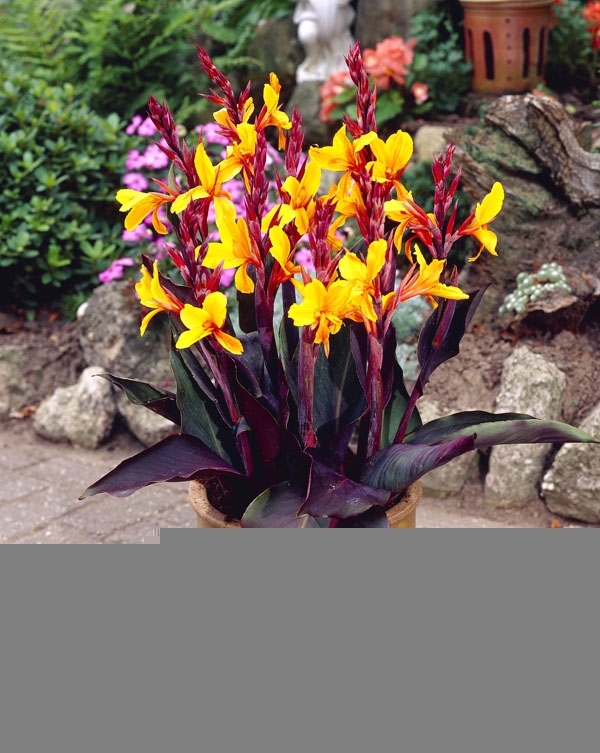 Are you a Canna lover who has never had the space to try one, Louis Cottin is a dwarf bred with you in mind, Topping out at 60 cm, this Canna can come home to roost on your deck or patio without eclipsing your view of the children or the sun, Outstanding yellow bloom colour with rich dark leaves. 1 No 1 rhizome/pkg.